Buenos Aires, Argentina, Apr 25, 2018 / 11:54 am (CNA).- The Pontifical Catholic University of Argentina announced this week that Archbishop Victor Manuel Fernandez, Pope Francis’ personal theologian and ghostwriter, will be replaced at the helm of the university by Miguel Ángel Schiavone, a long-serving lay professor at the university. 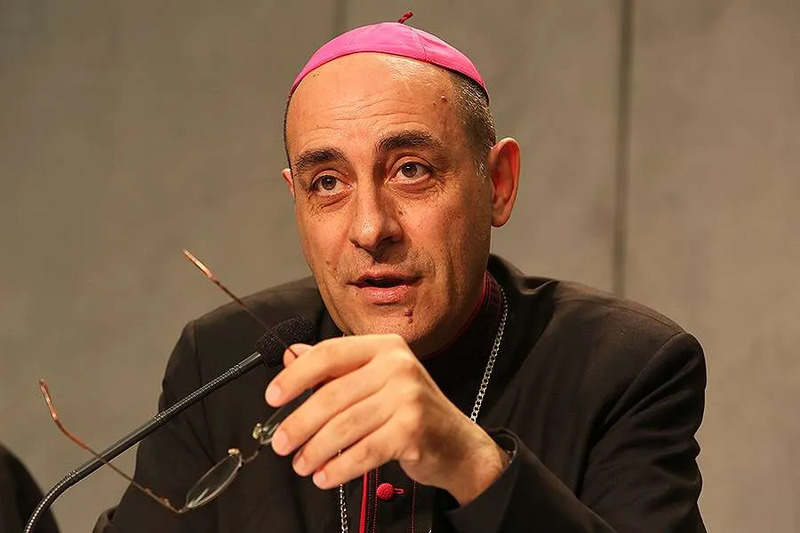 Officials from the pontifical university (UCA), speaking on background, told CNA that Fernandez has long hoped to leave the university and become the head of an Argentinean archdiocese, while remaining a close advisor to Pope Francis. The same sources told CNA that Fernandez would like to be named Archbishop of La Plata, considered to be the second most important archdiocese in Argentina, after Buenos Aires. Archbishop Héctor Aguer, the current Archbishop of La Plata, will turn 75 in May 2019. 75 is the age at which diocesan bishops are required to submit letters of resignation to the Pope. Archbishop Fernandez is a controversial figure in the Church in Argentina, because of some of the publications of his past, and because of his open claim that he can interpret Pope Francis at almost every turn. In fact, in 2014 he published the book “Il Progetto di Francesco, Dove vuole portare la Chiesa” (“Francis’ Project: Where does he want to lead the Church”) with Italian journalist Paolo Rodari, and he regularly appears in the Argentine press as to interpret the gestures or words of the Pope. Fernandez was born in 1952 in the small rural town of Alcira, in the Province of Córdoba. He was ordained a priest in August 1986 in Río Cuarto, a mostly rural diocese. In 1988 he obtained a degree in theology with a biblical specialization at the Pontifical Gregorian University in Rome, and then obtained a doctorate in theology at the UCA in 1990. With the recommendation of then-Archbishop Bergoglio, he moved in the early 90’s to Buenos Aires, where he was appointed a consultor to several commissions within the Argentinean bishops’ conference and the Latin American Bishops Council (CELAM). According to a source close to the Argentine bishops’ conference, Fernandez showed a great capacity for writing, and especially for incorporating into the drafts of official documents positions that seemed completely opposed, thus appeasing bishops of various ideological positions. 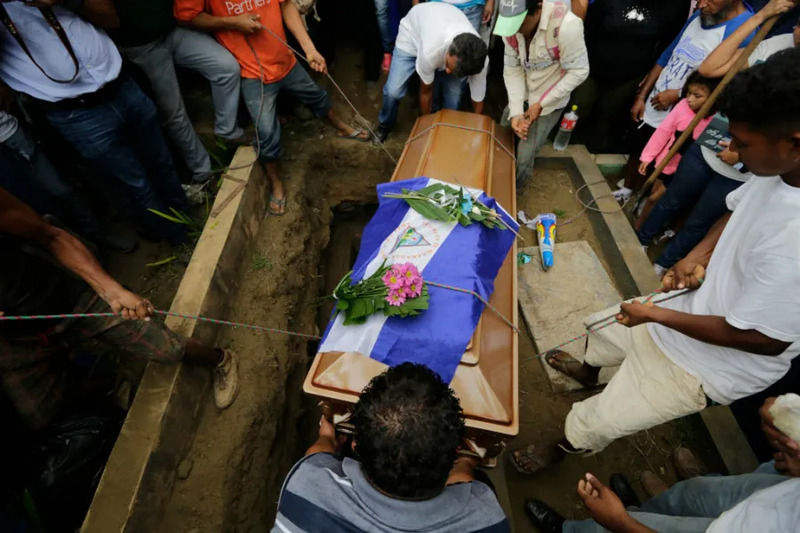 This ability is reportedly what convinced Cardinal Bergoglio to bring Fernandez as an expert to the V General Conference of the Latin American Bishops, held in 2007 at the Brazilian Marian shrine of Aparecida. It is said that Cardinal Bergoglio, head of the drafting committee of the General Conference, relied heavily on Fernandez’ ability to synthesize a diverse set of viewpoints in his writing. An avid writer, by the time Fernandez was chosen by Cardinal Bergoglio to head the UCA, he had written more than 100 articles and books, many of them combining biblical passages with “self-help” themes, in texts including “Activity, Spirituality and rest” (2001). “Living in Peace” (2003), “Catechesis with Spirit” (2003), “Grace and a Wholesome Life” (2003), “Keys to Living Fully” (2003), and “Incarnated Spiritual Theology” (2004,) a book that was featured in the Argentinean soap opera “Esperanza Mía,” about an illicit love affair between a priest and a nun. Not surprisingly, “Heal me With Your Mouth” has disappeared from most official lists of Fernandez’ works. This reaction did not sit well with many in Argentina, but by that time, sources say it was clear that Fernandez was one of Pope Francis’ closest collaborators. In fact, the Pope entrusted him with drafting his first apostolic exhortation, Evangelii Gaudium, a text in which Fernandez cited his own prior scholarship as a source document. Pope Francis later appointed him vice-president of the commission for the message of the Extraordinary Synod of Bishops on the Family, held in October 2014, and later appointed him a member of the pontifical roster of the Fourteenth Ordinary General Assembly of the Synod of Bishops on the Family in October 2015. He was then nominated by the Pope for the commission for the elaboration of the synod’s final report. “These instances of material plagiarism call into question Fernandez’s suitability to be a ghostwriter for the pope. A ghostwriter should remain a ghost. 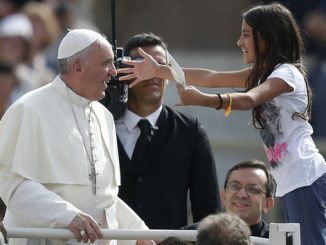 By quoting himself, Fernandez has drawn attention to himself and away from the pope,” Pakaluk added. “Worse than that, Fernandez strains the consciences of the faithful… in the plagiarized sentence do we find ‘the magisterium,’ or Fernandez’s own theological speculations?” Pakaluk asked. In its farewell message, the UCA statement thanked Fernandez for starting during his tenure the “Coordination for Social Commitment” and several university outreach initiatives aimed at serving the poor in Buenos Aires and the other provinces in which the UCA has campuses. According to CNA’s UCA sources, Fernandez has never been shy about defending issues related to the life of the unborn, marriage, family or euthanasia. “Everyone at UCA taking strong positions on these key issues, even when they were politically radioactive, always received the rector’s support,” one source said. Archbishop Héctor Aguer, whom Archbishop Fernandez may replace in La Plata, is regarded as an intellectual and pastoral leader in the mold of Pope John Paul and Benedict XVI. He completed a colossal neo-gothic cathedral for the Archdiocese during his tenure and both his Catholic university and his seminary are regarded by many as among the most orthodox in the country. During the 16 year-run of his popular Saturday radio show, Aguer has proven to be one of Argentina’s most outspoken bishops when it comes to the defense of Church teachings, even at the cost of straining relationship with other bishops and local politicians. Archbishop Aguer has declined to comment about the possibility of being replaced by Archbishop Fernandez. 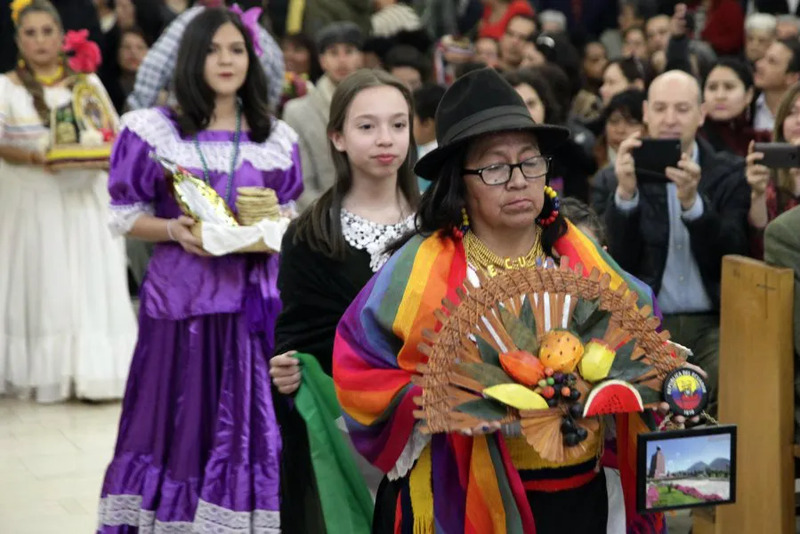 Santiago, Chile, Sep 6, 2018 / 02:07 pm (ACI Prensa).- The Church in Chile’s capital celebrated the National Day of the Migrant September 2 with a Mass of Thanksgiving and a charitable collection for the more than one million displaced people who currently live in the country. In Santiago, Catholics of more than 20 nationalities gathered at Our Lady of Pompeii parish to celebrate the Eucharist and share their traditions. The parish is locally known as the “Latin American parish” because its members hail from many different Latin American countries. In his homily, Bishop Roncagliolo encouraged those present to take up the challenge of working for communion, integration and welcome. “In Chile in recent years, we have taken in a great number of migrants. For us Chileans, this is not just a sociological issue but an issue of charity, to help our brothers from different parts of the world feel at home,” he said. After Mass, participants enjoyed more than 20 stands with typical food from different countries, cooked by migrants as a way to share their culture and thank the Chileans who have welcomed them. As part of the observation of the National Day of the Migrant, a collection was held in all dioceses throughout the country, raising money for the Chilean Catholic Migration Institute, which assists migrants, primarily from Venezuela and Haiti. The fund-raising campaign will last the entire month of September through online donations. The Argentine Bishops’ Committee on the Pastoral Care of Migrants and Itinerant People offered a series of online resources including Pope Francis’ message for the 2017 World Day of Migrants and Refugees, and liturgical suggestions for the day.